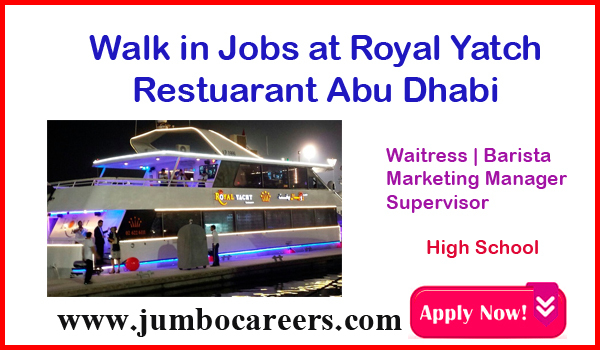 Royal Yatch restuarant Abu Dhabi hiring Staff. Location : Royal Yacht Restaurant, Close To Marina Mall, Al Kasir, Marina Village, Abu Dhabi. Note: those who are attending the interview should call in advnace and take appointment.